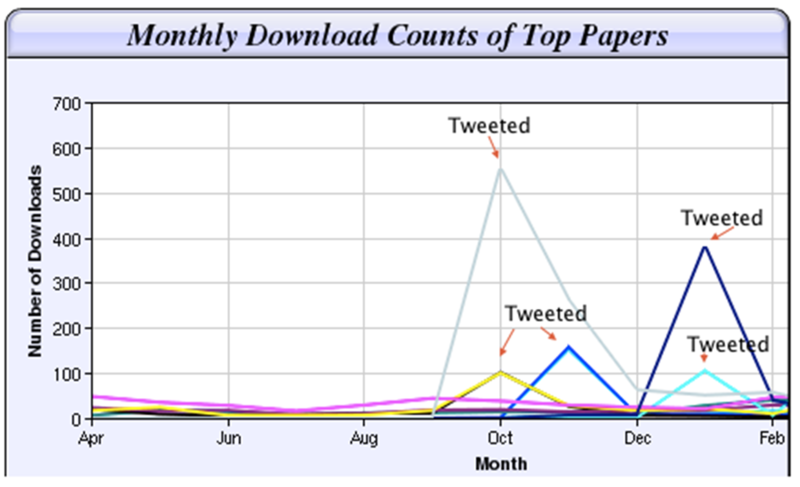 Is blogging and tweeting about research papers worth it? Melissa Terras, Professor of Digital Humanities at University College London, gave her verdict a couple of years ago. She put all of her research projects in UCL’s institutional repository, and wrote a blog post about each one, tweeted about those blogs and papers, and kept score. The blog she wrote on the results went viral http://melissaterras.blogspot.nl/2012/04/is-blogging-and-tweeting-about-research.html. Her answer was YES: blogging and tweeting about your research is worth it: if you tell people about your research, they will look at it. If one of the points of Open Science is to get more people to look at your research, how do you go about that? Using social media is one of the ways, but before you start up Twitter or Facebook, you might want to think about why exactly you want to spend your precious time on this. It will only feel worth the effort if you have a clear goal in mind. Therefore you need to develop a communication strategy, which basically comes down to thinking about who you want to reach (fellow scientists, industry, politicians, kids), what you would like to tell them (‘science is fun’, read my article, change your mind/behaviour, fund my research), and what they should do with that information. Just answer these questions: Why, Who, What? The How?-question follows logically from there: where does your target group hang out (online or offline), what are their interests, and what do you have to offer them? This determines the best social media platform to use, your tone of voice and the best way to deliver your message. Once you’ve set up your social media account(s), you’ll want to keep track of how you’re doing ‘out there’. One of the ways of doing that is looking up the altmetric score of the research you have published and opened up to the public. More on altmetrics. “Sharing information via social media is all about being open. I am a firm supporter of Open Science. I come from a country where universities do not always have the funds to offer access to all scientific journals. I feel now I am in a privileged position, it is only fair to share my knowledge. It is also the best way to be transparent about your work. Only when your work is accessible, can you claim the work as yours. People can get in contact with you about it and it also enables you to defend your work. All in all being open facilitates top scientific quality. 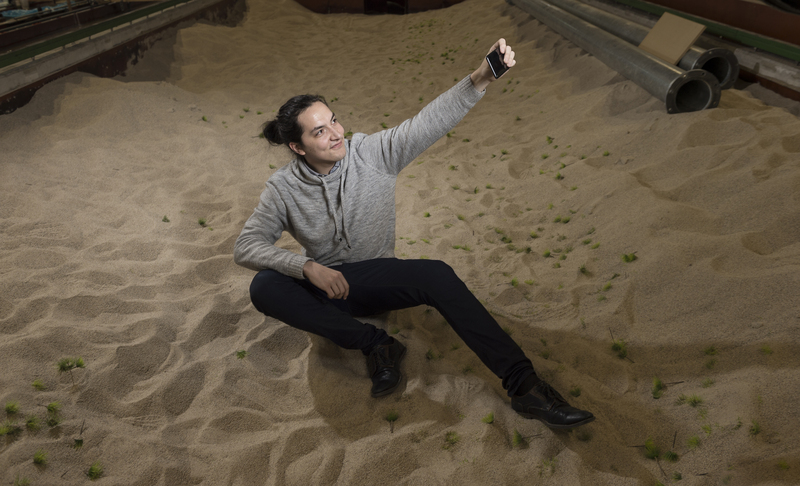 “Our research team is developing and implementing a new numerical solution that can accurately predict the soil and water interaction. For example in the case of floods, landlides and dikes protection. 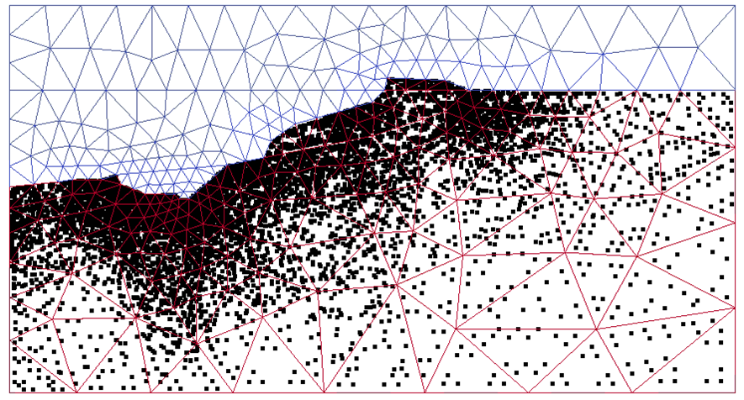 Our software generates realistic results of how the soil behaves in such situations and what is the effect on the water flow. These results are accurate enough for industrial application. The established numerical solutions for engineering practice are often licenced softwares. Our MPM software is freely available online. The ability to predict soil water interaction is an important asset for the design of flood defences, their construction, maintenance and safety assessment; even more so in view of intensifying land use and the impact of climate change on low-lying coastal areas worldwide”. 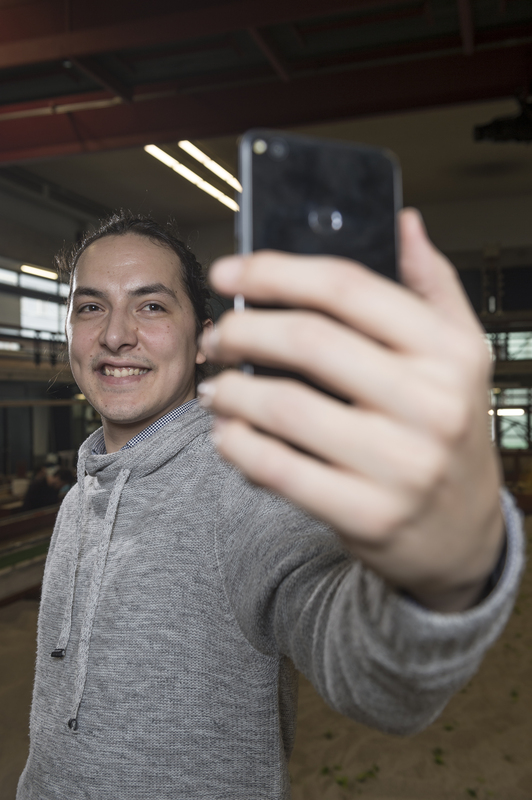 Of course you can find more on information about his research on Marco’s Linkedin page: ‘Can we better predict landslides’. Open course on Open Science: In 2018 another open course ‘Making an Impact with Open Science’ will take place from May 28th till June 24th. There is also a MOOC planned for September. In both courses you can learn more about social media and Open Science, among many other things. More information about the course. Want to know more? Read “Making an impact” and “Beyond citations” in earlier editions of this magazine.